Wow! What can I say? This game is AMAZING!! 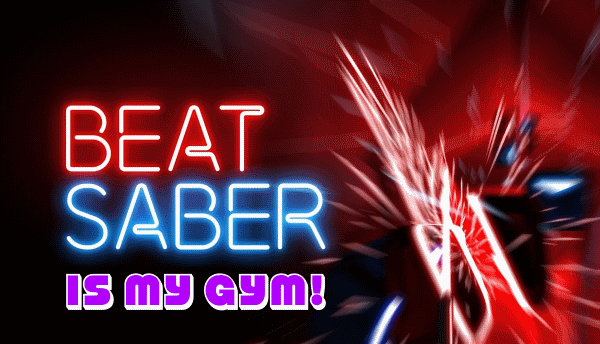 Beat Saber is my gym! Beat Saber is a rhythm-based game.. kinda like Guitar Hero only you play by wielding light sabers and smash blocks flying at you down the screen. I thought I’d be too unco for this one. 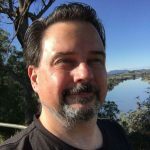 They had it on another VR headset at Comic-con in Sydney when I visited earlier this year and I wasn’t game to try it, but after giving it a go I find it really enjoyable. It’s also an amazing workout! So if you’re looking to get fit, I think it’ll help a lot! Especially if you put it on HARD mode. EXTREME mode is waaayyy too much for me, but NORMAL is good and HARD is a bit challenging hehe. Now they have even added EXTREME+ I don’t think my heart could take that one, tho! My 15yo daughter also likes this one a lot. She was the one who requested I buy it and it’s definitely worth whatever money they are charging at the moment. It’s made by a small dev team and is always being updated and upgraded they say. Make sure you create an account at BSaber and Favourite the songs you like, then install Sync Saber. Once you launch Beat Saber, then exit then launch again it can start syncing down your Favourited songs. It did seem to already sync down a list of the songs I selected, plus hundreds (?) of others. Although it only synced the names for me to choose and click DOWNLOAD in-game. It didn’t download songs I don’t want. SyncSaber should automatically download songs by your favourite map-makers and update ones you have when they put out better maps if you enable these features. I did see at the bottom of the gaming screen a notice about SyncSaber syncing when I start the game so it must be working.